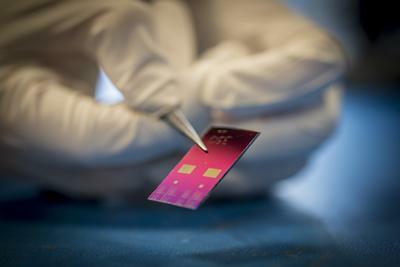 Clinicians and engineers in Southampton have developed a microchip that could detect sight-threatening eye infections within minutes – and prevent misuse of antibiotics. Conventional testing methods for corneal infections, or microbial keratitis, which include using microscopes, growing cultures in the laboratory or antibiotic sensitivity testing, can take anywhere between 48 hours and two weeks to provide results. Working alongside ophthalmologists at University Hospital Southampton NHS Foundation Trust (UHS), experts in electronic engineering and molecular microbiology at the University of Southampton used the chip to analyse bacteria extracted from laboratory-infected tissue samples from the eye retrieval and corneal transplant service at UHS. They found measuring the electrical properties of single bacteria as they pass one by one between tiny electrodes at high speed can identify instantly that an infection is present and distinguish between different bacteria such as E. coli and pseudomonas – something not possible using existing techniques. As a result of the findings, a prototype device has been approved by the Health Research Authority and Research Ethics Service for patients presenting with corneal infections at Southampton General Hospital's eye unit, with a pilot study involving 30 patients set to launch next month. Corneal infections occur when the cornea is damaged by a foreign object and through the growth of bacteria and other micro-organisms – often due to contaminated contact lenses. There are around 6,000 cases of corneal infections diagnosed in the UK every year, with around a third related to contact lens wear. "The cornea is only half a millimetre thick and infections can spread rapidly and destroy this structure, so timely treatment is extremely important, but we also have the added complication that treatment can be very different for each type of bacteria present," said Parwez Hossain, a consultant ophthalmologist at UHS and part of the study team. "These findings, although currently laboratory-based, could have deep implications for the detection and treatment of corneal infections as it has the potential to reduce diagnosis time from up to two weeks to only a few minutes – and the ability to deliver the correct antibiotics immediately." Professor Hywel Morgan, Professor of Bioelectronics and Deputy Director of the Institute for Life Sciences at the University of Southampton, added: “Our technique is relatively simple – we just measure the electrical signals from the cells flowing one by one through the chip and this information is enough to distinguish the different microorganisms. In a further development, the team also hope to trial the test in Africa and South Asia as part of the study through links developed with Southampton General Hospital’s eye unit through overseas programmes. Professor Myron Christodoulides, Professor of Bacteriology at the University of Southampton and a member of the study team, said: “Outside of the UK, rapid detection and targeted antibiotic treatments for eye infections are very urgent needs for many people living in some of the poorest countries in the world. The device – developed with funding support from the Engineering and Physical Sciences Research Council, the Network for Anti-Microbial Resistance and Infection Prevention and the Royal College of Surgeons of Edinburgh – was recently awarded the prestigious Founders Cup prize for research innovation at the 101st Oxford Ophthalmological Congress. 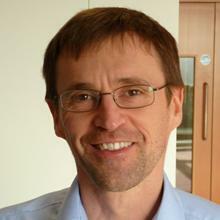 Professor Hywel Morgan is part of the Institute for Life Sciences at the University of Southampton. 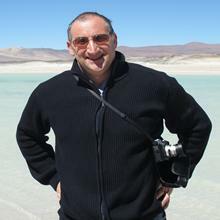 Professor Myron Christodoulides is a Professor of Bacteriology within Medicine at the University of Southampton.